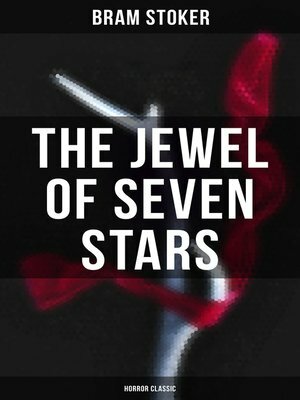 This eBook edition of "The Jewel of Seven Stars (Horror Classic)" has been formatted to the highest digital standards and adjusted for readability on all devices. The Jewel of Seven Stars tells the tale of Malcolm Ross, a young barrister, pulled into an archaeologist's plot to revive Queen Tera, an ancient Egyptian mummy. Malcolm is awakened in the middle of the night and summoned to the house of famous Egyptologist Abel Trelawny at the request of his daughter, Margaret. Once Malcolm arrives at the house, he learns why he has been called – Margaret, hearing strange noises from her father's bedroom, woke to find him unconscious and bloodied on the floor of his room, under some sort of trance. Margaret reveals that her father had left a letter of strange instructions in the event of his incapacitation, stating that his body should not be removed from his room and must be watched at all times until he wakes up. The room is filled with Egyptian relics, and Malcolm notices that the "mummy smell" has an effect on those in the room.